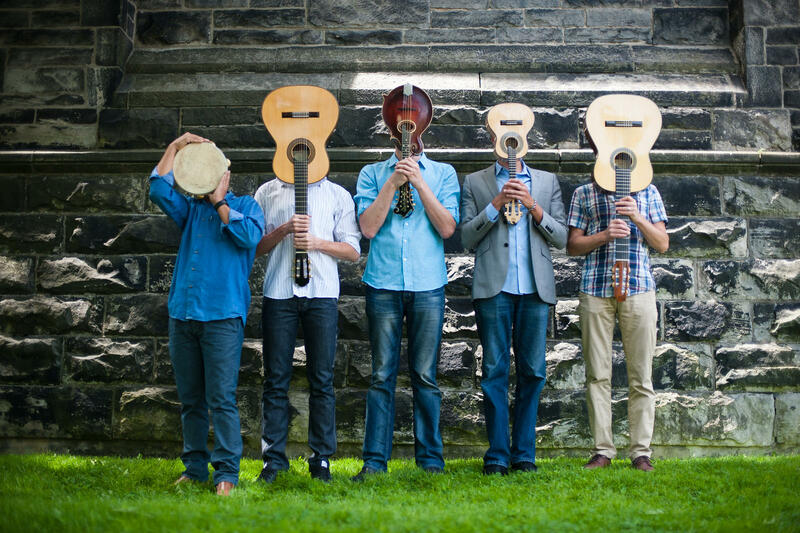 Toronto’s Tio Chorinho is the first ensemble in Canada dedicated to performing Brazilian Choro music. The group formed in 2009 and performs regularly at clubs, events and festivals throughout Toronto and southern Ontario. Their reputation is growing nationally and beyond following their debut CD release “Chora Brazil,” which earned them two nominations from the 2016 Canadian Folk Music Awards (for World Music and Instrumental Group of the Year). 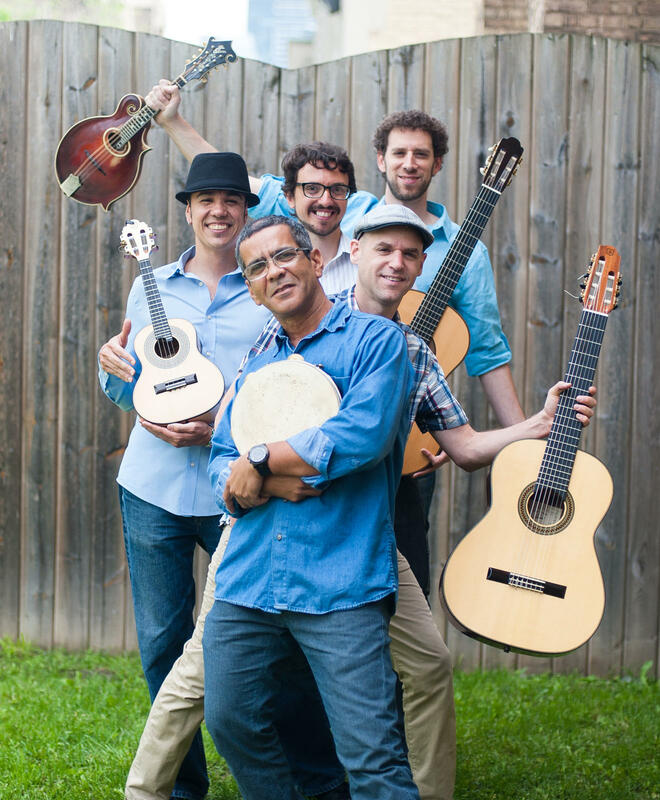 The group features Eric Stein(mandolin), Maninho Costa (percussion), Carlinhos Cardoso (cavaquinho), and Andre Valerio (guitar and cavaquinho). They are frequently joined by such guests as Avital Zemer (7-string guitar), Milos Popovic (accordion), Flavia Nascimento (vocals), Alheli Pimienta (flute), Riquinho Fernandes (percussion), and others. Choro (pronounced SHOH-roh) is a primarily instrumental musical form which originated in the suburbs of Rio de Janeiro in the late-19th century. Choro is the original Brazilian soul music, a unique marriage of popular and classical European styles with Afro-Brazilian influences. It is the foundation of many modern Brazilian music styles, and is often described in American terms as “the New Orleans jazz of Brazil.” Exciting, energetic, soulful, intimate, nostalgic and virtuosic, choro is an infectious popular style whose universal appeal belies its musical complexity. Inspired primarily by the recordings and compositions of the great Brazilian mandolin master Jacob do Bandolim (1918-1969), Tio Chorinho also performs music by other essential composers of the genre, including Ernesto Nazareth, Pixinguinha, Waldir Azevedo, Luiz Americano, and others. They have recently begun to integrate original compositions in their repertoire, while still capturing the authentic spirit of choro. Wherever they play, audiences are consistently thrilled by the group’s virtuosity and dynamics, and by their easy-going charm on stage.